Google partners with Acer and HP to bring Chromebook laptops to India. 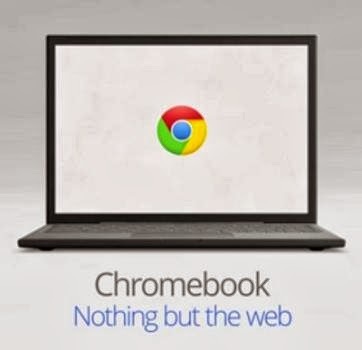 Chromebooks run on Google's Chrome OS and come with 100 GB of cloud storage. Google will launch the Acer C720 and the HP Chomebooks in India on October 17. Google claims that Chromebooks are faster than a traditional PC and offer longer battery life. The Chromebooks will come preloaded with Google services like Gmail, YouTube and Google+. Users also get access to apps from the Chrome Web Store. The Acer C720 Chromebook has a 11.6-inch display with 1366 × 768 pixels resolution and comes with 16GB SSD storage. The C720 Chromebook has a VGA camera and microphone for video chatting. It supports WiFi, USB 3.0 and another USB 2.0 port for connectivity. The Acer C720 runs on the Intel Celeron 2955U processor and offers 8.5 hours of battery life, according to the company. The HP Chromebook 14 has a 14-inch display with 1366 × 768 pixels resolution. It has 32GB SSD storage, a 720p camera and a 3-in-1 card reader. Connectivity wise the HP Chromebook offers Wi-Fi, two USB 3.0 ports and another USB 2.0 port. It runs on Intel Celeron 2955U processor and claims to deliver 9.5 hours of battery life. The Acer C720 Chromebook and the HP Chromebook 14 come with 100GB of free Google Drive storage for 2 years. Google has also partnered with Tikona and Airtel to provide a range of cellular and broadband offers for Indian consumers. The Acer C720 Chromebook is available for Rs 22,999 and the HP Chromebook 14 for Rs 26,990. The devices will be launched on Oct 17 and be available from select Reliance Digital and Croma stores in Delhi and Mumbai. Users can also pre-order the Chromebooks from Flipkart.com. A Google spokesperson said: "Chromebooks are a new type of computer from Google designed to help you get things done faster and easier. They run Chrome OS, an operating system that has multiple layers of security, cloud storage, and the most popular Google products built-in... if you love using Chrome on your PC, you'll get going on a Chromebook in seconds."